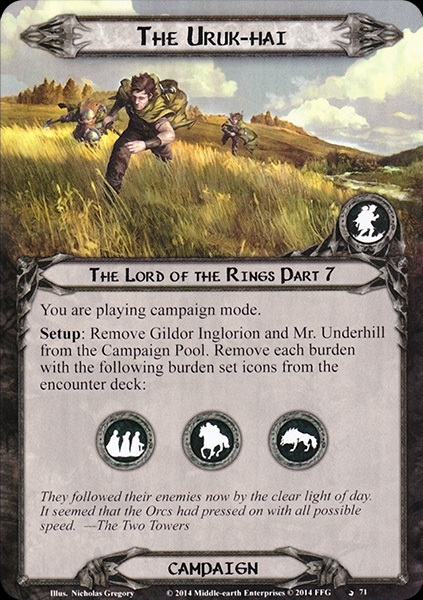 Resolution: If the pursuit value is 25 or lower, the players must choose: either each player earns one of the Skill boons (Intimidation, Hands of a Healer, Forewarned, or Leader of Men) and attached it to a hero he controls, or one player ears the boon Beyond All Hope and chooses a hero from the list of fallen heroes. 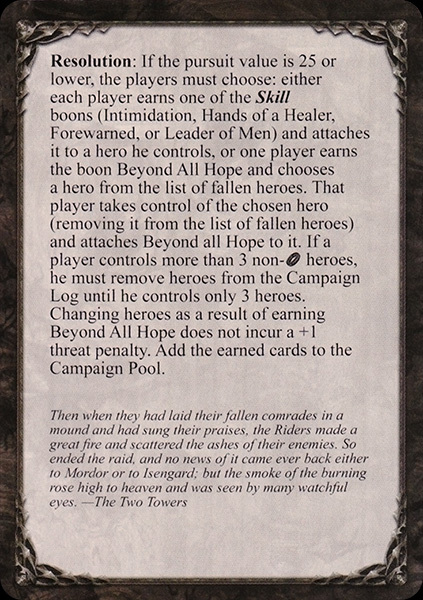 That player takes control of the chosen hero (removing it from the list of fallen heroes) and attaches Beyond All Hope to it. 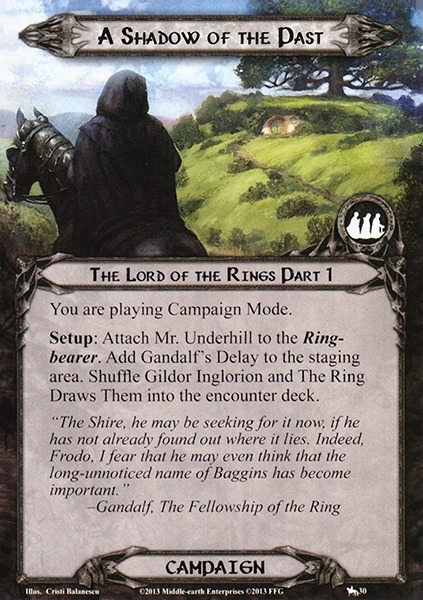 If a player controls more than 3 non-Fellowship heroes, he must remove heroes from the Campaign Log until he controls only 3 heroes. Changing heroes as a result of earning Beyond All Hope does not incur a +1 threat penalty. 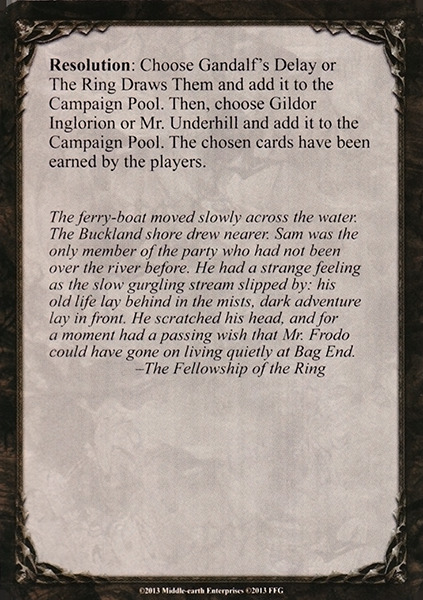 Add the earned cards to the Campaign Pool.